What does consciousness studies have to do with research about the afterlife? Before I continue my rant on the glaring problems of material science’s unsupported hypothesis of brain-based consciousness and the abhorrent suggestion that free will is an illusion (are we simply robots, or what? ), I’d like to give you all the heads up that a free viewing of a new documentary on consciousness, called ‘The Deeper You Go’ is available from the Skeptiko blog. Please follow this link to the article on Skeptiko where you will find the Vimeo password and a link to the documentary. Also, see the very end of this post for links to videos and sites that relate to several of the experts in the documentary. Consciousness studies are incredibly important to afterlife studies because our personality can only survive death if our consciousness is not the direct product of our brain matter. There is a reason why it’s called “the hard problem”. No one really knows how or why we have this feeling of being self-aware. Who is the ‘I’ that thinks thoughts and can analyze them subjectively? Who is the person who stares through our eyes? Scientists say this feeling is an illusion, and we are simply clever computers following pre-programmed instructions with no say in the matter. But is this really true? With the mind=brain theory of consciousness, neuroscience has put forward the idea that we are simply ‘lumbering robots’, to quote Richard Dawkins. The fact is, neuroscience doesn’t have much to go on in which to declare that the brain creates consciousness. They insist it must be true, however, for if there reverse were proven science would have to concede that human beings have a soul – something scientists don’t want to touch with a ten foot pole, I assure you. Material science believes that consciousness arises from your brain matter and is dependent on the normal functioning of said brain matter for “you” or what you perceive as “you” to exist. Ergo, when you die and your brain ceases to function, “you” are gone. Your memories, loves, personality, passion – gone. In addition and by extension, they also believe that free will must be an illusion, as an extension of a matter-created consciousness. As distasteful as it sounds, it is a necessary consequence of the material reductionist view: The illusion of free will is simply the consequence of a sequence of decisions that your brain is automatically programmed to make, based on the configuration of your neurons. If they are right, they should turn in their degrees because ‘they’ didn’t earn them and had no choice in the matter anyway. Free will – or personal choice- supposedly doesn’t exist in the consciousness-is-an-illusion science worldview because it would be impossible to have a ‘mind’ that directs a ‘brain’ to act. If all activity originates in the brain, then the brain must be the actor, and the mind simply an illusory ghost that decides nothing and has no real input. Although we live by the assumption that our ‘mind’ decides things, according to materialists, you never made the decision to love the person you married, nor did you decide to pick that particular college, or to take up knitting, or running, or decide to run for public office. All of these choices, according to material neuroscience, has been decided for you before you even became aware of it, as neurons are blindly following a path shaped by genetics and environmental exposure. There is no room in their theory for a mind that decides, and a brain that acts in accordance afterward. Free-will; everything that makes us human and unique, is the sad casualty of a brain-first model. But consider what that would mean for our legal system. Our legal system supposes that we have a choice; if science says that we don’t, then are any of us responsible for our actions? I digress. Consider the opposite theory. The brain is a receiver and interpreter of consciousness, which exists apart from the brain and is filtered through the brain in order to interact with the physical body. Think of it like the way a radio functions. The radio is not the originator of the broadcast, it is simply a tool that allows us to translate an invisible electromagnetic signal into something that we can physically hear. Skeptics like to point to diseases like Alzheimer’s as proof that because consciousness is affected by diseases of the brain, then consciousness must be created by it. It’s a feeble argument. All it proves is that consciousness is affected by the operation of the brain, which would be the result in either theory. When a radio is broken, the broadcast may be static, but it doesn’t mean the electromagnetic signal is also distorted or damaged in any way. In a brain damaged individual, their consciousness may be undamaged, but the brain- the interface and receiver may still “broadcast” a distorted signal through the damaged ‘receiver’. Consider the phenomena of terminal lucidity, where a patient who is severely compromised mentally due to advanced neurological diseases, many times for years, suddenly regains their full faculties prior to death. Astonished families have the opportunity to speak with their loved one with clarity and lucidity one last time before they pass away. There is no scientific explanation for this, but if the brain acts as a receiver then the person preparing to exit the body has already begun the disconnection process, allowing the consciousness to briefly bypass the circuitry, so to speak. Material science has no answer for this phenomenon, even as they are reported by hospitals, families and hospice nurses worldwide and throughout history. Even quantum physicists are starting to investigate the possibility that our personality and memories can exist after death as a collection of entangled particles. If you aren’t familiar with particle entanglement and all of the reality-bending facets of the quantum reality, I highly suggest watching this video for a basic overview. I truly believe that any theory of the afterlife must agree with real, observed science (even science we haven’t explored or explained yet) therefore I believe quantum physics may hold the key to a future scientific theory of the afterlife. I’m not alone in that assessment either. Considered one of the ‘three greatest living scientists’ for his research in stem cells, biologist Dr. Robert Lanza agrees in his groundbreaking book Biocentrism. Dr. Lanza has put his academic reputation on the line by proposing that consciousness is the basis of all matter. His book is well-worth a read and I highly recommend it, but if you want a basic overview, here’s a video of Dr. Lanza explaining the theory himself. Materialism has such a stranglehold on science that most scientists can’t risk their academic reputation and funding by exploring the fringes of science, even if they believe there is merit in these explorations. There are some brave, intrepid scientists out there that have pushed back against the materialist worldview, and predictably they are attacked by the establishment in really nasty, ugly ways. Aside from Dr. Robert Lanza, please check out the works of Dean Radin and Dr. Rupert Sheldrake, both who are featured in the documentary “The Deeper We Go” linked in the opening paragraph [see my post on Dr. Sheldrake’s proof of telepathy studies here]. Dr. Sheldrake has published an absolutely excellent book called “Science Set Free” or “The Science Delusion” in the UK. In the book, he questions 10 tenants of science that are supposedly immutable, but upon closer inspection, not really scientifically validated. Although we think science is an immovable bedrock in our society, it’s eye-opening to discover that politics and peer pressure have meant that many things that have great scientific value remain unexplored to the detriment of human progress. If you have bravely read to the end of my rant, take this one thing with you: Consciousness is still a complete mystery to science. There is no proof that it is created by the brain or an ’emergent property’ of brain processes. Although popular articles read like the matter has been decided, it decidedly has not. Always keep an open mind and don’t believe everything you read, especially in Wikipedia which has a known skeptical bias. The truth is a rare and precious commodity that is rarely given freely – even in science. 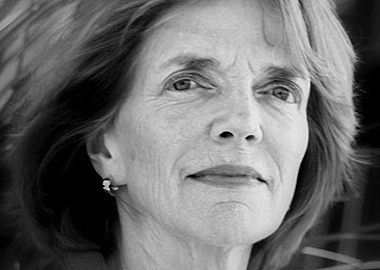 Read this excellent critique/rebuttal of Susan Blackmore’s “Dying Brain Theory” here. 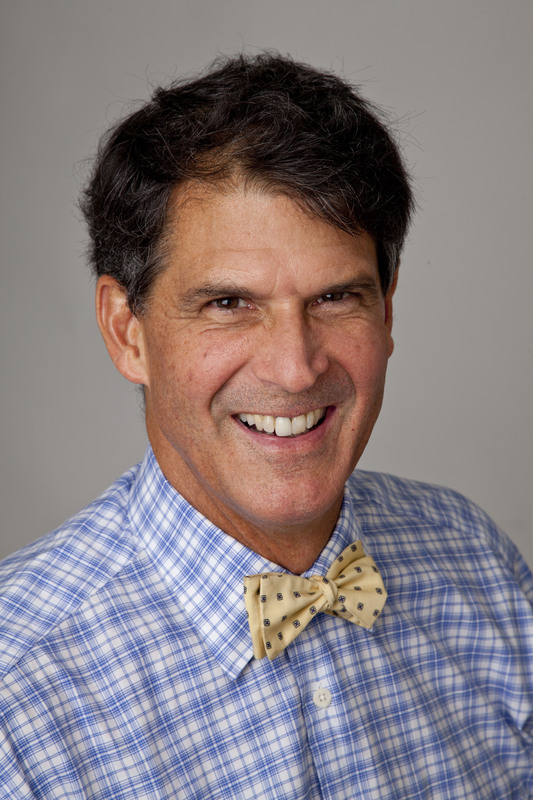 Check out Dr. Eben Alexander’s excellent book about his life-changing NDE, Proof of Heaven. Science, when properly done (which is not always the case) is obviously very important. But I don’t agree with Scientism, the notion that science can answer everything. The problem starts with basic notions such as Space. Scientific consensus currently claims that space is finite. I’m not buying it. If Space is finite, what would happen if you reached the end? I have yet to receive an adequate answer to this question. The answer is usually something that completely evades the actual question. No amount of formulas and equations can answer this basic question: If Space is finite, what happens when you reach the end? Do you bounce off? Are you prevented from going further? Prevented by what? Some type of force that exists at the end but nowhere else? Even if so, then what is on the other side of this force? I would say that if someone is claiming that Space is finite, they should be able to answer this simple question. What seems much more likely to me is that Space is infinite. In which case, science can never really measure all of it. How can you measure Infinity? What’s more, we can’t even grasp the notion of Infinity mentally. Whatever it is that we’re thinking of, it’s not Infinity. It can’t be. It’s unfathomable. The only rational conclusion then is to accept a spiritual/mystical conception of Space. I don’t remember who it was, but someone once said that the Universe is “an intelligeble sphere with a center of everywhere and a circumference of nowhere”. Sounds about right. Then there’s Time. Did Time start at a point? Well, that doesn’t make sense. Whatever was before it was still Time. When we say that something starts at a point of time, we are simply dividing time into two parts: What came before and what came after. There is no rational sense in which we can say that Time itself starts. So we have no rational option but to accept Eternity. And like Infinity, Eternity is a spiritual/mystical concept for similar reasons. You can’t grasp it. You can’t measure it. Then of course, there’s the problem of consciousness itself. I don’t see how science can ever solve the hard problem. It doesn’t really have the tools for it. Then there’s the question: Why is there something instead of nothing? How could science possibly answer this? There’s also Causation: What can cause things to move? You can describe movement using science, but you can’t explain why it happens in the first place. How are objects animated? What is it that makes them move? And what sustains the Universe in the first place? All this “stuff”, how can it sustain itself? P.S. By the way, in the past materialistic atheists used to claim that time is eternal and space is infinite. Supposedly, this is an argument in favor of materialism. But I can’t see how it could possibly be. The very notion of infinity and eternity is non-materialistic. My thoughts exactly. There is a point when public discussion needs to go private. Though hopefully our online discussion helps, or interests others. I’m relieved to see your reply as I had thought I’d upset you byquestioning your personal experiences. In the interim, I did read your personal ‘Jonas’ story, so felt even worse about challenging you. I understand that we can have lots to attend to in life! At least it’s interesting. Thankfully the bathroom is finished! Peace at last! I had spent my whole life attempting to answer these questions myself. Studying all strands of ‘evidence’ I could find. But; my own ‘Personal experience’ has been pretty limited. I accessed one (Possible) ‘Past life’ through a relaxed state similar to hypnosis. Done by ‘The Light Institute’ established by Chris Griscom. It did make sense to me, although brief. I’ve read widely for many years about other peoples experiences. I was a convinced ‘Past Life’ enthusiast, until accepting the point made by ‘Seth’ ‘Elias’ and others, that all experiences occur in the ‘Spacious present’ I think that’s what Seth called it. I think that this conception – that it is all happening ‘Now’, impacts on Science and Religion and even the search for life after death, for if existence emerges from within a ‘Universal Consciousness’, then even the distinction we make in our thinking about before or after, is just that – a conception? In her NDE Anita Moorjani was told she could choose to ‘Die’, or to return to life. She questioned how she could choose to a body racked with cancer, that hadbecome too ill to save.. she was impressed that should she choose to return, thjat with her increased spiritual (Non-physical?) understanding of her life, her body would simply return to full health (And significantly I think) if she chose not to return the tests that the medical team had done would show ‘Death by organ failure due to cancer’ But if she chose to return, the medical test results would come back as positive that her organs were functioning. This choice that she had, demonstrates the nature of ‘probabilities’ (I believe) as is explained by Seth and Elias and Bashar and others. The nature of human experience, rests in such choices between probabilities. What ‘IS’ is not something that was set in stone by a fixed process of ‘Cause and effect’. There is no ’cause and effect’ within a spacious present, there are only choices between outcomes. That’s my best shot at explaining how i see it. I know I said some of this earlier, it seems to be how I view it all! As for what I’ve experienced.. I had a best friend of thirtyfive years die of cancer. We used to speak on the phone for a few hours every week. He was viewed – by me and others – as a bit ‘psychic’. He had told me that at the funeral of his next door neighbor he had been standing near the grave as the coffin was lowered and a vision of this neighbor appeared in front of him and said something like “It’s all O.K.!”. So I had been on the alert for a possible communication from him. What I got was in a dream fragment. One of those dreams near to waking. In the dream, a telephone near me was ringing ringing (I am easily provoked to annoyance by noises) in the dream I pick up the phone and say “Who is it?? ?” in an annoyed voice. A voice replied; “You know who it is!” and I awoke knowing in my mind it was his way of saying hi to me. For me that was enough!. I knew it was him because that was the kind of phrase or response he used. It’s not much though and I’ve wondered why I didn’t get more – because we had understood each other well in life.But, we both believed in non-physical reality, so I guess he didn’t have to press that point with me. My mother once told me that a male friend who was bed ridden, that she cared for, told her he would visit her in spirit at night. She said she woke to see him standing by her bed. There is that kind of OOB etc. Similarly, a favourite uncle just a day or so before he died, awaoke from a slumber and looked at me and said: ” I’ve been flying all around, indicating the world ourtside the hospital, I interpreted this as increased psychic ability nearing his death. But myself personally, I’ve felt puzzled why I don’t experience more psychic things. Though I’ve had a few ‘Flying’ dreams which I love! I understand what you are saying about other peoples experiences contributing to our understanding and the validity of L.A.D but, I come back to this idea we have; that there is some difficult to penetrate division, between our sense of being alive in physical conscious daily experience and an alternative beingness that is of a somewhat different order of conscious aliveness. i.e. consciousness without THIS particular Physical level vibration, or expression. This, seemingly non-physical consciousness, is obviously not far removed from our seemingly clear ‘physical experience’. I’m reminded of your Jonas experiences. How far removed was his existence – or the existence of any person who we regard as (Physically) dead, from this present time feeling of ‘Self’? I don’t think the distinctions are as big, or as difficult to transcend as we ‘Think’ they are. what is possible, or what we can regard as ‘Real’.. Many strands of human thought, point to the power of belief and thought, in shaping experience – or as ‘Bashar’ forcefully says: Circumstances (Experiences?) are neutral. They have no intrinsic meaning or value, except that which each individual gives to those circumstances/experiences. I’m spouting that from recall. It’s about right. So…do we perhaps create barriers between physical/non-physical which are not absolutes, but rather just the stage of understanding and development in our thinking believing, we have at present? I do wonder at the energy and commitment you have given to this subject Jenn. I haven’t explored it all yet. Michael, I would be very happy to! Let me explain why I made that comment first. When I was a kid growing up Christian, I felt that the emphasis was always on ‘faith’. My mother and pastor always answered my questions by either pointing to the bible or telling me that belief in an afterlife was simply a matter of faith. I was discouraged for looking elsewhere – namely the occult or paranormal – for any real evidence. I left the church and struck out on my own. I didn’t want to just have faith, I wanted to know. My comment really meant that if faith was all I had to go on, I wouldn’t be able to say that I believed and my search for the afterlife would have ended in atheism. However, there is wonderful secular evidence of the afterlife, and exciting advances in both quantum physics and consciousness science that gives me more than just hope, but a real sense that there is more than simply material science at work in this world. Okay, so what is this evidence? Well, it would be a lot to encapsulate in this little comment, but if you look at my link above for “Resources for Afterlife Research” it lists many of the lines of evidence that I have used in my own research. It also comes down to numbers. When you consider near-death experiences, after-death communications, death-bed visions, veridical and evidential messages from mediums and channelers, EVP and ITC technology, automatic writing, and so on, we have millions, if not billions of people who have had life-changing spiritual experiences. Science’s only answer for this is one of three possibilities: hallucination, drugs, or deceit. Just based on my own experience, people don’t generally and suddenly hallucinate or lie about one spiritual experience then go on living a normal life. As for the morphine argument, it makes up such a small percentage of possible cases, it can’t be an answer to all experiences. Hallucinations, by medical definition, are disordered and disjointed, but people who experience death-bed visions are perfectly lucid, and never describe speaking to the living. Hallucination wouldn’t make that distinction. As for near-death experiences, I find it really validating that not a single person – not one (and I’ve looked!) who has had a near-death experience returned to say it was a dream or hallucination. Everyone who has an NDE is convinced of what they’ve experienced. When you wake from a dream, you know it was a dream. When you come down from an acid trip, you know it wasn’t real. But NDE experiencers are not willing to invalidate their conclusions, and I respect that. Now, along with all of this is actual scientific evidence, such as the telepathy experiments of Dr. Sheldrake, and the NDE research or Greyson, Lommel, Atwater, etc. Julie Bechel (sp?) just did a pretty hard-to-dispute triple blind test of mediums which, as far as the scientific method is concerned, pretty much proves mediumship (it was ignored by mainstream science, of course) Also fascinating is Dr. Ian Stevenson’s research on reincarnation which I think it nearly impossible to dispute. Then there is Dr. Michael Newton’s regression therapy, in which for 30 years he heard the same exact descriptions of the afterlife from hundreds of different patients from all walks of life. A great book that presents evidence for the afterlife in a really logical way is called “21 days into the afterlife” by Dr. Parisetti. He presents case after case after case that are very hard to dispute. What I’m getting as it this: Skeptics try to compartmentalize evidence of the afterlife – they only deal with one subject at a time. The key is to look at all the lines of evidence, which, when taken together, yield an overwhelming body of evidence that the afterlife is real. With millions of people who have these experiences, are we willing to believe they are all delusional or suddenly hallucinating? Statistically, at least one story must be the truth, and all it takes is one. On the other hand, we must not be so wide-eyed and accepting that we lose our objectivity when evaluating afterlife and spiritual topics. There are distortions, and frauds and we risk getting lost in the weeds without carefully comparing what is claimed with the rest of the body of evidence. I always research the person who is making the claims as well as I can before deciding if I can trust what they are saying, and even then I always leave room for doubt. So that’s why I created this blog. Because I am passionate about the search for life after death, not only for myself, but for everyone who is unsatisfied with religion’s ‘just have faith’ argument. I don’t want these people to turn toward atheism. There is another way; secular metaphysics and evidence-based belief; a belief in the afterlife that combines spirituality with science without the yoke of religious dogma. Thank you so much for your comment, I appreciate it. I see from your other post that you are a “Sethian” like me! So, what are your feelings about the evidence? Have you read any books or followed anyone (besides Seth) that you feel really presented a solid case for the afterlife? Since I posted here and on the other thread, I’ve had a major bathroom replacement going on, which is quite distracting. I’ve just returned to read your replies. Jenn, it seems to me that you make a very convincing case for the reality of lifeafterdeath. I’ve read widely during my life and you cover all the sources I’ve looked at (Reincarnation evidence is another one you mention) but you have done it in a methodical way it seems. Mine was just a relaxed pursuit maybe. I was mostly trying to convince myself. I used to be a postman (So not a scientist! 🙂 ) I used to have a cup of tea with a lady who ran a newspaper outlet. For a few years we discussed the meaning of life and the various forms of evidence. I had thought I’d done a good job of convincing her that the afterlife was real. Until one day I asked her opinion and was shocked to hear her say “I’m not sure. I’ve got an open mind about it!” I was pretty deflated I can tell you. From your comments given above, one thing stands out that is missing from your search (That I’ve read to this point) and that is ‘Personal experience’!. ‘Knowing’ (I wanted to know) may be couched in ‘evidence’ from many sources that are ‘objective’ in the sense that they are from the reality around us – other peoples experiences etc. But ‘Knowing’ is also very obviously a personal internal thing. This for me, is where science is going wrong. It tends to categorize reality in terms of our ‘objective’ outer sensory experience of it. And tends to dismiss as imaginary or other negative terms, those experiences which occur within our personal consciousness. I wonder at this point, if any of your research has been into your own personal consciousness? Have you for example investigated ‘Past lives’ by being ‘Regressed’ etc? I spent many years reading about cases of past life memories. Once I came upon the concept of ‘Simultaneous time’, I started to use the term ‘Other lives’ rather than ‘Past lives’ Lives within a multidimensional present can also be in future time-frames as we perceive them. Accepting the multidimensional present, also calls into question, many of the cherished ways science interprets ‘Physical reality’ and ‘Evolution of the species’. For if we all inhabit a non-physica reality of the kind, ‘Seth’ and ‘Elias’ and others explain that we are experiencing – then we always inhabit a ‘Present moment’, whatever the contextual framework we are defining for ourselves. One more thing if I may, that I think impacts this whole scenario of scientific views about the nature of Reality and especially our human ‘Consciousness’. Both ‘Seth’ and ‘Elias’ say; That ALL is ‘Consciousness’. ‘Physical reality’ is formed by ‘Consciousness’. ‘Matter’ itself, is not ‘Separate’ or ‘part of an ‘Objective’ universe. It is all manifesting from the fundamental ground of being, which is ‘Consciousness’. sphere of reality – like this physical universe. But, are that which forms any reality sphere. It may sound strange to those who view ‘Reality’ through the definitions of ‘Science’. Personally, I see nothing in present science which denies validity to what ‘Seth’ or ‘Elias’ are saying. Though those who view ‘Physical Reality’ as all will probably find such ideas unacceptable. Sorry if I’ve veered off the path here, I follow where my mind leads me. It gives some grasp of ‘Elias’ But its difficult to express it all within one book. It’s good though! What impresses me is NDE experience with consequent physical healing. Anita Moorjani’s Book and story about her NDE; “Dying to be me” is impressive, not only for the impressive healing her experience engendered, but also the impressive insights she gives about it all. She explains it so well! She is linked through Dr Wayne Dwyer to another author who I find convincing. Mira Kelley and her book; “Beyond Past Lives’. I had one experience of accessing a possible past life. It felt like I was ‘Making it up’ to satisfy the person ‘Regressing’ me. But, then, too many factors made sense later, that I now view it as possibly a real lifetime. I have had a cerebral attitude to this whole subject matter, in that it made sense to me mentally, rather than actually experiencing. Maybe that’s true of many though. I hope your bathroom replacement is going well! I’m sorry that I took so long to reply to you. This past week was unexpectedly busy and I wasn’t home much either, but I certainly did want to reply at at least say thank you so much for the links, especially to the Elias book – I can’t beleive I didn’t know that existed! I’m really looking forward to reading it. Yes, I find the idea of CUs or CLs fascinating, and I confess it’s been a while since I’ve read Seth’s NoPR or the Unknown Reality, vols 1 & 2, but I am set to re-read it again soon. I also wanted to respond to your point about personal experience. You hit the nail on the head – yes, personal experience is absolutely the ultimate way that a person can convince themselves of life after death, although personal experience, by its very definition, is personal – subjective, and experienced only the observer. Personal experience is probably the holy grail for any afterlife researcher. I’ve had a few personal experiences that were really powerful, but my skeptical mind doesn’t allow me to see these as absolute proof. I did post my most impressive personal experience here, read the “Jonas and the Haunted Cabin’ post if you are interested. Even then, as amazing as that experience was, I still don’t feel like it was enough for me to “know”. Then again, if I “knew” for sure that life after death was an absolute certainty, then I wouldn’t be motivated to continue to study the topic, and blog about the research. Belief through the vicarious experiences of others and the conviction displayed by an individual experiencer are both vital to the larger question of the reality of life after death. When each individual is brave enough to share their experiences, the collective experiences strengthen belief on the part of non-experiencers,and strengthen the validity and veracity of any individual experience that shares the commonalities of each type. It also allows an individual to take their own experiences more seriously Back in the 60’s, most people who had an NDE were told by their doctors that they needed psychiatric help. Until Raymond Moody collected these experiences into a book, most people dismissed their own experiences or simply didn’t share them. Knowing that these experiences do happen to millions of people around the world, both the person having the NDE and the person reading about the NDE of another are strengthened in their personal beliefs. So, for my own part, I should definitely try to have a personal experience – maybe through an OBE or through visiting mediums. Michael, have you had any personal experiences? When you use the term ‘Strong evidence’. Can you explain what that strong evidence might be, in your terms? Regarding this debate, the problem cannot be solved by usual scientific methods because there is there is no such thing as an objective observer. No one can stand outside the situation and dispassionately take notes. We are all mortal and therefore we all have a great deal invested in our individual belief system. For now perhaps the more approachable question is, not what someone believes about after death survival, but WHY they believe it. Sally. That is a good point, Sally. As frustrating as it is, because our consciousness is necessarily subjective, it is impossible to apply objective scientific standards to it. As for after-death survival, I think we all secretly hope it to be true, but I’m not willing to go so far as to say I would believe in life after death without strong evidence. The good news is, there is strong secular evidence regarding life after death for those willing to invest the time into the current research. Its possible science may never be able to prove consciousness or life after death, at least science as we know it now, but I think human beings will always have a vested interested in wondering if there is something better at the end of the road. Its certainly better than the alternative!